A number of very qualified and highly regarded candidates threw their hats in the ring, but Dean Andrew Ainslie stood apart from the rest. The search for a new dean at the Simon Business School presented an opportunity to find someone who could take the School to the next level. 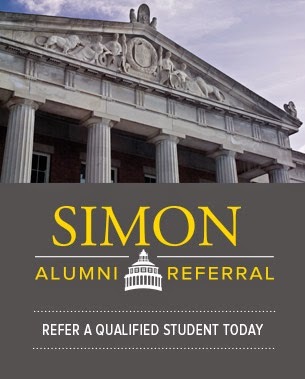 Simon has a proud tradition of both pioneering research and a rigorous, economics-based approach to management education. Under Dean Mark Zupan’s leadership, the School built a solid foundation of strong alumni engagement, innovative one-year programs, and a sustainable endowment draw—along with job placement rates, student satisfaction scores, and entering-class statistics that are all moving in the right direction. We were looking for someone who would respect our traditions and build on that foundation, but who would also take a hard look at where we could do better—and be a change agent. University President Joel Seligman understood the strategic importance of Simon’s next leader and opted to chair the selection committee himself, in addition to appointing a special committee of alumni to assist in the process. A number of very qualified candidates from highly regarded schools expressed interest in the position, which is a tribute to the continued strength and reputation of the School. (As Peter Simon, for whose father the School is named, often says, “It’s a gem of a school.”) The search committee whittled the list down to a handful of finalist candidates, at which point the alumni committee was brought in to meet and evaluate them. My fellow alumni committee members were Mark Ain, Ron Fielding, Evans Lam, Mike Ryan, Peter Simon, and Colleen Wegman—all savvy, hard-core supporters of the School. I can speak for the committee in saying that Andrew Ainslie captured our interest immediately by virtue of the breadth of his strengths. His academic credentials include a degree in electrical engineering and an MBA—as well as a PhD in marketing and statistics, which he earned in four years from the University of Chicago after starting there at the age of 34, no small feat. He brings leadership experience in an unusual mix of areas—the military, the corporate world, and graduate business education. He had a solid reputation as an academic before moving to the administrative side. He shares our respect for the workings of markets and a reliance on hard data analysis as the best basis for sound decisions. He appreciates the distinctiveness of Simon’s approach to business education—and particularly its reliance on economics—in a world where business education has become somewhat conformist. Speaking with Andrew Ainslie is like speaking with any of our faculty or alums. He immediately identifies and engages in the issues, he doesn’t mince words, and he is quantitative, data-driven, and empirical. He emphasizes long-term strategic success over short-term performance “blips.” He has a great regard for our faculty and its reputation for intellectual rigor, and the value of the research mission. He understands how a strong faculty can boost a school’s ranking—and vice versa—and will work to attract and retain a world-class faculty. While head of the MBA program at UCLA-Anderson, Ainslie identified career placement as a key differentiator and worked hard to improve both the placement center itself and the marketability of the students—and to link admissions and placement more closely together. We are fortunate to have found someone with Dean Ainslie’s intellectual training and leadership skills. He’s Simon tough—and we are excited to welcome him to the Simon community. 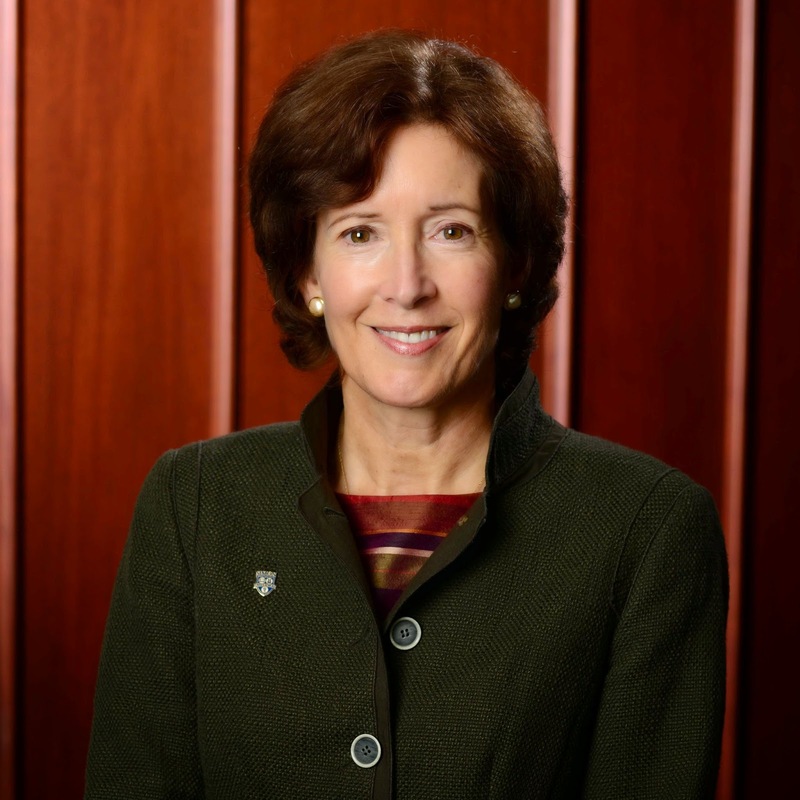 Guest contributor for the Fall 2014 Dean’s Corner message is Janice M. Willett ’78S (MBA). Willett is the Simon Campaign chair, and a member of the Simon Business School National Council and the University of Rochester Board of Trustees.